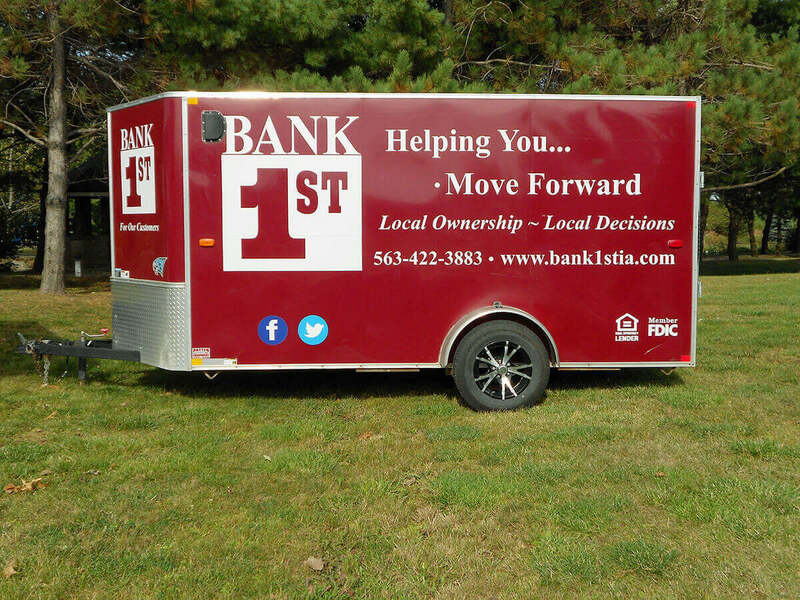 Bank 1st has an enclosed trailer available for customers to use. The trailer is 6 X 12 and uses a 2” ball hitch. To reserve the trailer, contact a Bank 1st employee. What do I need to bring when I check out the trailer? *The following uses will not be permitted: hauling livestock, motorized vehicles, hazardous materials, and construction materials.